We have bubble and snow machines available to hire all year round at very competitive prices. Bubble machines don't get requested very often, but when they are asked for it's important to have machines that are large enough to give a good effect. At the moment we have a fleet of Antari B200's and Le Maitre Bubble Masters available. 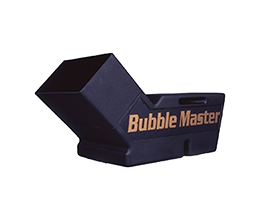 The MagicFX Bubble Blaster is the biggest bubble machine on the market today and part of our bubble machine hire fleet. 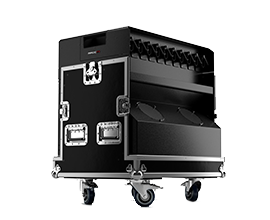 Designed with big shows, festivals and touring in mind this spectacular bubble machine can produce up to 6000 bubbles per minute and has a built in smoke machine so it can produce smoke filled bubbles at the same rate. 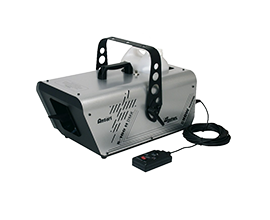 Snow Machines come in various shapes and sizes, our most popular hires tend to be the smaller 'foam' based machines, but we do also have much larger machines available for bigger outdoor jobs. Swirl Fans are the best 'dry' snow machine on the market and with our special 'snow' confetti can create anything from a snow flurry to a blizzard with no sticky residue. 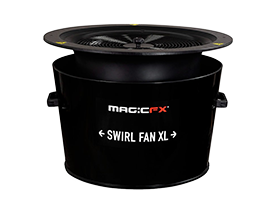 Available for dry hire or with a technician, our Swirl Fans are available in both Standard and XL sizes, a standard swirl fan will carry 0.75 kilos of paper snow confetti and XL Swirl Fans up to 3 kilos.